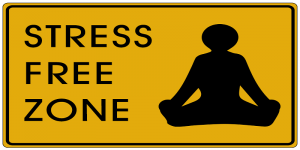 Fight your occupational stress! Download the eBook here.. Stress, anxiety and depression are found in all people and in all cultures, industries, economies and societies, regardless of the education, social status or economic background of the individuals concerned. This is due to a variety of reasons, but mostly because of the high and extremely demanding aspects of their workplace. The fact is that most adults, all over the world, spend the largest if not a substantial part of their lives working in private companies or public organizations. Whether they are employed in Canada, the U.S., or Australia, in a high-technology startup in Eat Asia, a financial institution in England or Germany, or a garment factory in the Dominican Republic or India, they experience extreme occupational stress. Also they are not engaged at all in their work! The quality of their workplace experience is inevitably reflected in the quality of their lives. Gallup’s recent finding that the vast majority of employees worldwide report an overall negative experience at work — and just one in eight are fully involved in and enthusiastic about their jobs — is important when considering why the global recovery remains sluggish, while social unrest abounds in many countries. Also my own consulting experience and various other international studies have shown that business managers (top, middle, bottom, etc.) and professionals, in all types (private, public, etc.) and size (small, medium, large, etc.) of companies in all business functions (Note: Sales, Finance, Production, Logistics, Customer Support, IT, Internal Audit, Compliance, External Auditing, Medical Services, Educational and Academic Services, etc. ), have very difficult and stressful jobs. My own guess and possible answer based on my experience and other sources is that this is due to the 21st Century’s volatile and perplexed business environment all over the world. 1. Increased workloads and demands. 2. Constant shareholder demands for performance, cost-cutting, downsizing, etc. 3. Not well defined and overextended, many times, ranges of accountability. 4. Too wide span of controls assigned to individuals. 5. Turbulent socio-economic conditions (social, religious, etc.) of doing business across the globe. This makes it absolutely imperative for organizations, public and private, to have strong and motivated managers and professionals to lead their corporate staff toward accomplishing their strategic and operational business goals and objectives, in the best way. To accomplish these general goals and specific objectives, in an organizational products and services framework, managers and professionals not only use their human resources, but they also use inputs, methods, and systems, to create outputs which can be translated into products and services for customers, and a control system to achieve all these in the most optimal way. When you take into full consideration the full array of duties, roles and responsibilities in leading and managing their units, departments, organizations, etc., one thing becomes clear: business managers and professionals have difficult and stressful jobs. But how can business managers and professionals, such as military officers, medical experts and nursing staff, reporters, IT managers, internal auditors, firefighters, airline pilots, police officers, etc. handle this stressful environment? As a board member, enterprise owner, Chief Executive, business manager or professional, you must resolve the situation (occupational stress) troubling you and your business entity and its people, with specific actions and activities. 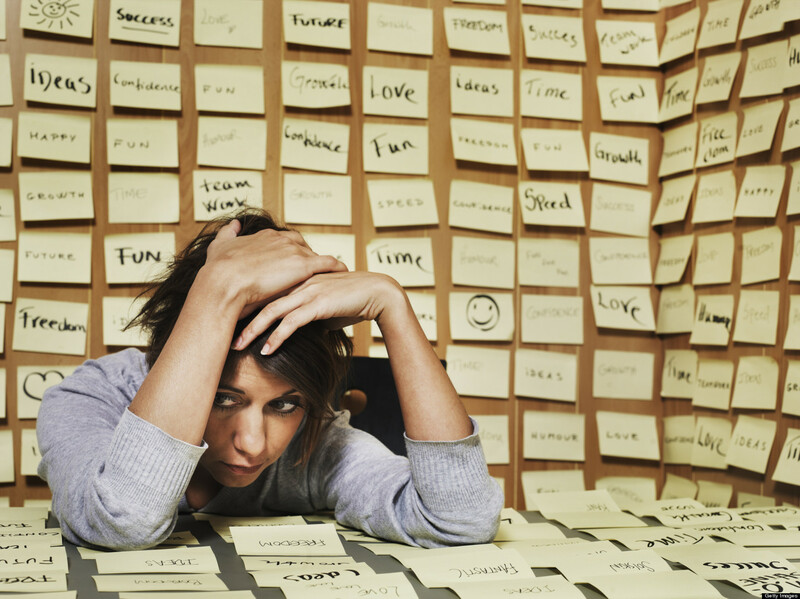 How can you effectively resolve the issue of occupational stress management? My answer is the use of ancient Greek wisdom and specific and practical methods and techniques that you can review, consider, customize and apply to yourself and your own business. What does ancient Greek wisdom have to do with occupational stress? The current model of living is based more and more on competition, technology, open markets and profit at all costs, and less on harmony, peace (in a true sense) and moral values. This way has been proven wrong. The way we look at harmony, peace, honor and justice does not, I think definitely, seem to resolve our current world problems, at both the personal as well as the business level. Technology and all other developments have forgotten, in most cases, our psyche (mind). That’s where philosophy steps in. As philosophy nourishes our psyche (soul) it becomes most important. And as the world problems are not being tackled and resolved to any level of satisfaction, we have to go back. Back to the basic principles of philosophy so that we attain the proper principles and virtues so that we bring values, order and balance in our personal life, our business organizations, and our society. This is the only way so that we can all travel the difficult road to a better world. I selected the ancient Greek wisdom for several reasons. Firstly because of its breadth, non-religious and global appeal, as Ancient Greek philosophy saw life in a holistic sense. Secondly because of my ability to read and understand better the original philosophical texts. And thirdly because I had to work with people of many religions, cultures, socio-economic backgrounds and corporate settings, I had to find another approach. This approach (The Occupational Stress Management and Reduction Approach, termed ‘The OCCUP Stress Approach’) is the basis of this book on occupational stress reduction. Ancient Greek culture, philosophy and wisdom saw life in a holistic sense. The main principles proposed were: to free oneself from greediness, to achieve a gentle character, chastity, modesty in clothing and behavior, harmony balance of mind, prompt and rational decisions, honesty, goodness, truth, logical and concise thinking and speech. These were their general rules on how people should approach and live a better life. This relates to my varied experience in multinational and multicultural business management, consulting, auditing and volunteering activities, etc. and how these were applied to occupational stress management and reduction in various personal and corporate settings. This source includes various studies, reports, surveys, books, experiences, data and other resources noted in the Bibliography. In conclusion, these three sources (philosophical world views, experience and bibliography) are my basis in crafting ‘The OCCUP Stress Approach’ to reducing occupational stress, summarized next and described fully in the following chapters of this book: ‘How to Reduce Occupational Stress’, published: on Feb, 12 2015 and available at: bookboon.com. The objective of this plan is to present a set of steps you may use to design and implement stress reduction actions both for you as well as your business organization. Step 2: Organize and operate the stress-management team. This strategy describes the role of the first principle (the Principle of Temperance) of ‘The OCCUP Stress Approach’. This strategy describes the role of the second principle (Faith) of ‘The OCCUP Stress Approach’. This strategy describes the role of the Principles of Justice, Harmony, Friendship and Kalokagathia (Goodness and Kindness) the third, fourth, fifth and sixth principles of ‘The OCCUP Stress Approach’. This strategy describes the role of the Principle of Courage the seventh principle of ‘The OCCUP Stress Approach’. In conclusion, since everyone has a unique response to stress, there is no ‘one size fits all’ solution to managing it. No single method works for everyone or in every situation, so experiment with different techniques and strategies. Focus on what makes you and your business organization feel calm and in control. This article was posted in Articles and tagged eBooks, Stress management. Bookmark the permalink. Follow comments with the RSS feed for this post.Trackbacks are closed, but you can Post a Comment.